A variety of venues and options to suit your needs, from formal courses to social events. 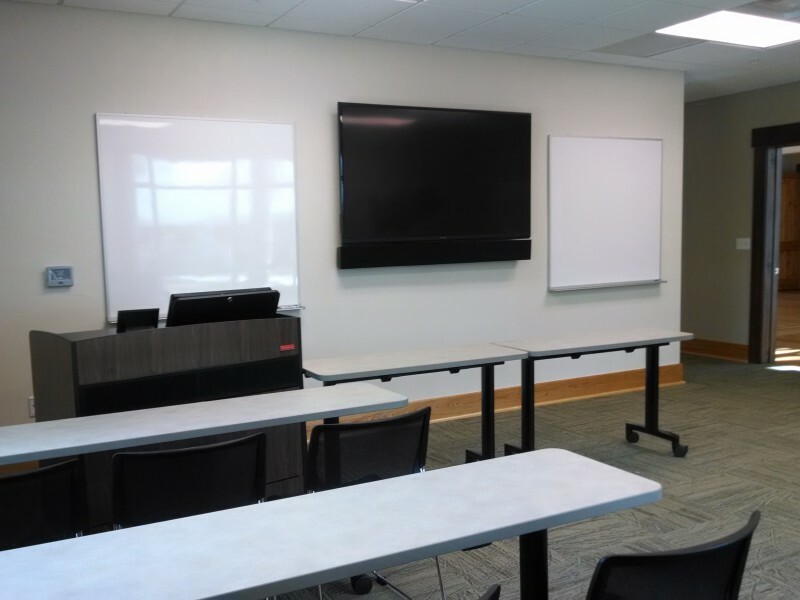 The Classroom in the Stern Learning Center is a venue well-suited for traditional classes, smaller meetings, and workshops. Several windows provide pleasant scenery and natural lighting. 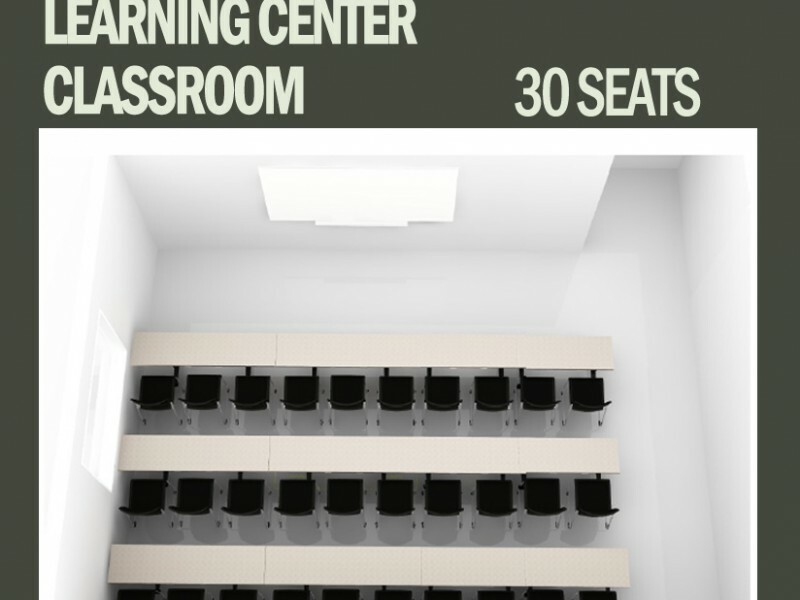 The Classroom seats 30 participants at forward-facing tables and is equipped with a high-definition, wall-mounted monitor for your projection needs, as well as two adjacent wall-mounted whiteboards. The podium includes a built-in PC with additional hookups for laptops and other devices. Reservation of the Classroom is made in 4-hour blocks, 8:00am-12:00pm or 1:00pm-5:00pm. Tables and chairs can be rearranged on your own or by request, depending on your needs. 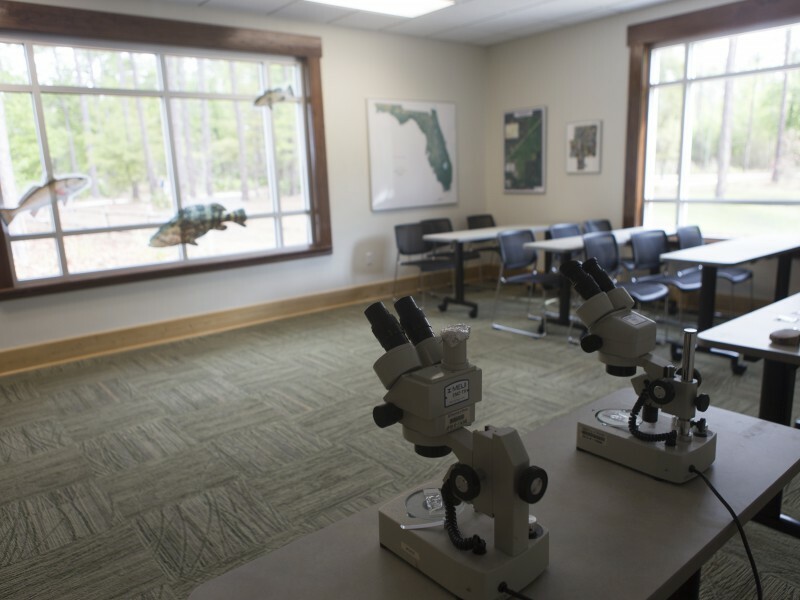 Note: Classroom rentals include access to the Classroom and restrooms only; use of the kitchen, deck, and other areas in the Stern Learning Center are subject to availability and not guaranteed.